The 68 year old rocker had the sold out crowd at Thunder Valley Casino Resort‘s outdoor amphitheater rocking the night away as Miller took them on a magical ride down memory lane. The concert was like taking a ride on a Jet Airplane to Swingtown, with a Space Cowboy and The Joker on board. Then all of a sudden – Abracadabra – and everyone was Dance Dance Dance dancing the night away ““ ok, I think the medical stuff was working its magic on me at that point, but that’s what it felt like! Miller and his band comprised of Jacob Petersen (guitar), Joseph Wooten (keys), Kenny Lee Lewis (bass), Sonny Charles (vocals), and Gordy Knudtson (drums), came out performing “Jungle Love,” which immediately brought the crowd to their feet. Miller continued with his hits “Take the Money and Run,” “The Stake,” and “Abracadabra,” as I’m sure some people in the crowd were reminiscing about the time they were in the backseat of their 65 Chevy, doing god knows what. Even with the lull of newer songs this was a great night of entertainment, providing everyone in attendance with a stroll down memory lane. 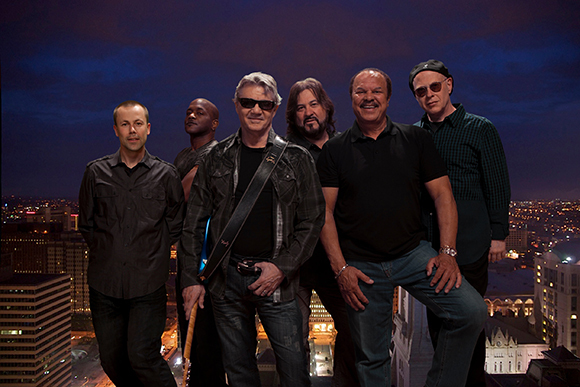 Don’t forget to check out Thunder Valley Casino’s upcoming Summer Concerts. Randy’s Rant: Aging artists should stick to the hits that got them there. While I understand the need to sell their latest CD, they need to understand their audience. Many of their fans are in the older demographic, and might only go to one or two shows a year. When they do finally get out to a concert they want to be entertained by the rocker of yesteryear, not yesterday. I truly believe that if they stuck to the older hits, this will in turn cause people to want to listen to their newer stuff. As fans are leaving, going to get a beer, or going to drain said beer, they would be more inclined to stop off at the merchant table and pick up the latest CD. If not, click the link below and buy the damn thing. I could be completely off base, but since this is my blog I get to blather on about a whole lot of nothing.